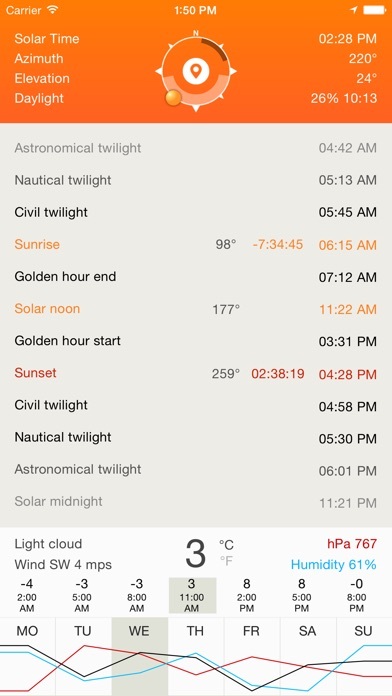 With this app you can get information about sunrise and sunset times, civil, nautical twilight, golden hour at your location. 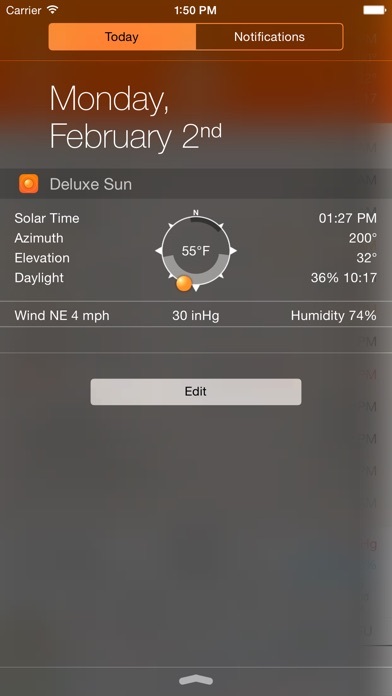 As a bonus the app gets basic weather conditions such as temperature, humidity and pressure when connected to the internet. If you want to learn about the Moon, please refer to Deluxe Moon Pro for iPhone or Deluxe Moon HD for iPad. For moon gardening tips refer to Moon Gardening app. 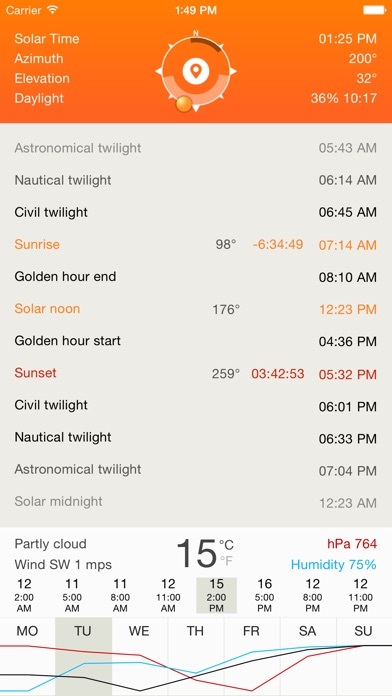 Features: [+] Universal app for iPhone and iPad [+] Modern design [+] Sunrise and sunset times for your location [+] Nautical and civil twilight times. 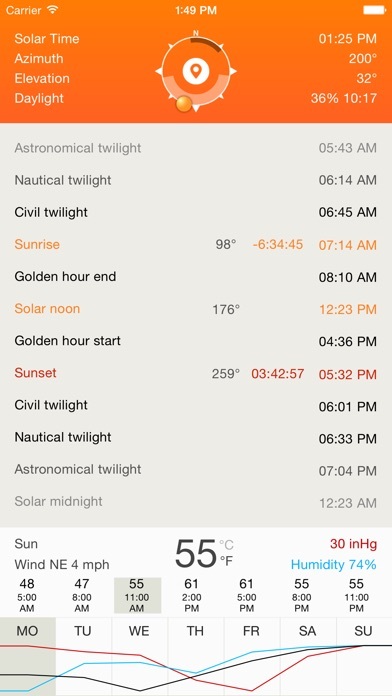 [+] Golden hour for photographers [+] Countdown timers for sunrise and sunset [+] Sun compass [+] Solar time, azimuth, elevation [+] Current location detected by GPS. 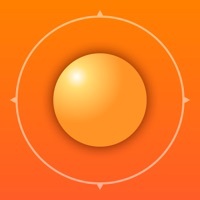 [+] iOS 8 widget with sun compass We appreciate your input. Please help us make this application better – visit our website to see more screenshots and videos and let us know what new features you would like to see. 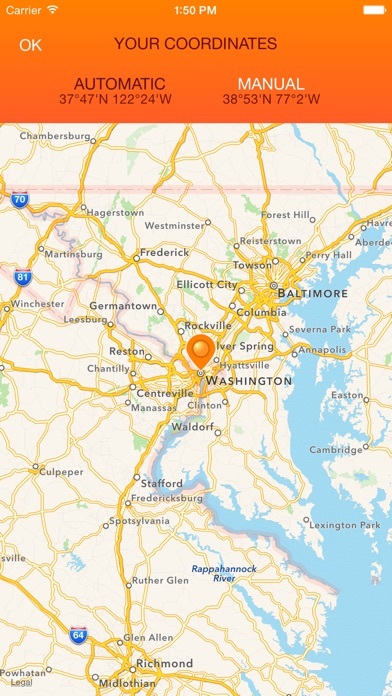 www.LifewareSolutions.com If you like the app, please write a review in iTunes. Your support would greatly help! No longer show info in widgets. And no longer shows forecast below in app. I removed and readied the app but did not help. Also misspelled ‘WETAHER’!! !